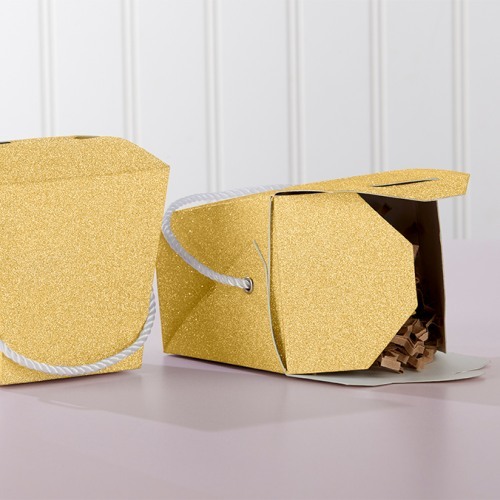 What better way to package up goodies for your wedding guests then with these glitter takeout boxes? These Chinese takeout style boxes are completely covered with gold or silver glitter and come complete with a white rope handle. Perfect for a candy bar, leftover cake, or any other left over treats.